By high school, I was competing at the intermediate/2** level and was fortunate enough to have the opportunity to ride for Area III NAJYRC team four times. As long as I maintained strong grades, the private school was very supportive. They allowed me to miss a great deal of school. By graduation, I would miss around 200 days of high school to travel for training and competitions. This sport requires dedication at an early age. The only thing I could imagine doing for the rest of my life was riding, training, and competing horses at the professional level. My passion for horses and the sport were astronomical. I often wondered how I could possibly feel the same about anything else. But those of us that pursue the equestrian world know that even though it is immensely fulfilling, it is a lifestyle that requires intense work and endless days. By the time my senior year began along with the college chatter, I couldn’t help but wonder what else in life could fulfill me as riding does. One of the most heartbreaking days I’ve experienced in my twenty-one years of life was the day I sold my amazing horse and best friend, Nemo. I made the personal decision to remove myself from the horse world for a little bit in order to experience what else the world had to offer. The summer prior to attending college, I did some soul searching to find potential careers that would suit me. After a bit of research, I sought out the opportunity to shadow a few doctors and physician assistants. From the moment I arrived at the hospital in my scrubs, I felt a unique feeling of exhilaration and curiosity. I spent most of the day with an incredible PA who would one day become my biggest mentor. Over and over again, I found myself repeatedly mesmerized and fascinated by what I experienced in the hospital. After that day, I continued to shadow in hospitals and doctor’s offices. I found myself growing a love for people and providing comfort to them, as well as a fascination for science. I went into my first year of college pursuing the pre-physician assistant track. Flash forward a few years to the present day. 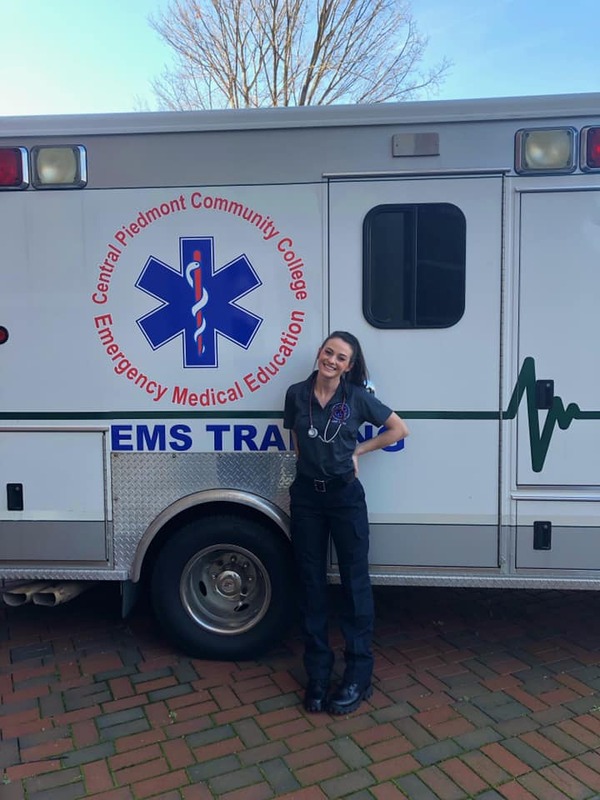 I am in the spring semester of my junior year at the University of North Carolina, Charlotte, with an even bigger love for science and the thought of being a PA. I am taking many science courses like biology, chemistry, anatomy, organic chemistry, biochemistry, and genetics. How lucky am I to be able to say that I absolutely adore what I am learning in these courses?! In addition, I am currently in the process of becoming a certified EMT. I hope to begin working after I graduate in order to gain healthcare experience prior to attending PA school. I also am able to ride horses for a few clients in my spare time, so I still get to fulfill my horse love! I am so grateful I took the time to stop and search for other passions in this big world of ours. 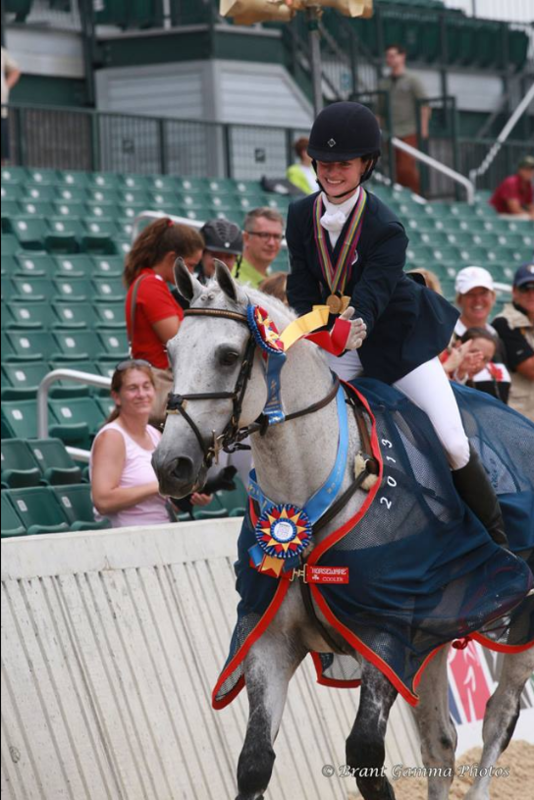 Growing up in the intense equestrian scene, I would occasionally feel a pressure that I couldn’t try anything else. If I took time away from the sport, I would fall behind. Regardless of whether or not one feels this pressure, I would encourage young riders to not be afraid to explore what the world has to offer. Don’t be nervous about taking the time to discover what else can fulfill your mind, body, and soul. The horse world will always be waiting for you and will love to have you back if you find that is where your true passion lies. I am forever grateful to have grown up with horses and the equestrian world. It taught me a great amount about respect, responsibility, dedication, and working hard for your dreams. These skills will help me in every aspect as I continue to grow into my life as a young adult.